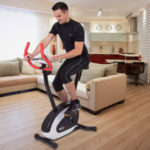 What’s even more impressive about it is the fact that even though it is such a compact piece of fitness equipment, you still get all the features that you need to ensure that your workouts are effective and productive. It is fair to say that most of the customers who have purchased and reviewed the Ultrasport Home Trainer F-Bike have been positive. Buyers really liked the compact nature of the bike and agreed that it did take up a relatively small amount of space. They also felt that although there was a little bit of self-assembly involved, this was merely tightening of screws, nuts and bolts and all the tools and pieces were included. Customers also really liked the simplicity of the bike and were impressed with how the bike tracks your progress from day to day, so you can always make sure you are doing enough to meet any targets or goals you have set yourself. The heart-rate/pulse monitor also scored highly. 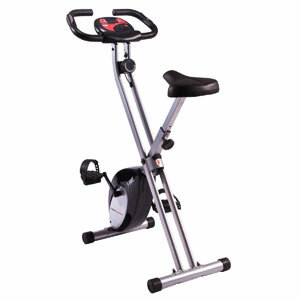 Amongst the negatives were comments that the Ultrasport F-Bike was good, but probably better suited to people looking for an easy ride or a beginner exercise bike as when the resistance was set at its highest it still didn’t pose much of a challenge. There have also been minor reports of breakages, but these appear to be in the minority compared to the average experience. 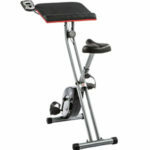 Overall we can say from reading the reviews online that the Ultrafit folding exercise bike delivers on most of what it promises. 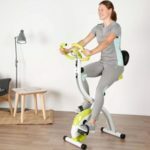 It is a sturdy and robust, yet lightweight and compact foldaway bike that helps you to stay focused on a healthy exercise routine, even when the weather is bad or you don’t fancy or like going to the gym. 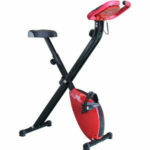 The price and quality of the build and design make this piece of home gym equipment excellent value. You can find more customer reviews about this Ultrasport F-Bike on Amazon here.